Edmund Blunden was born in London, brought up in Kent and educated at Christ's Hospital, Horsham, where he became senior classical scholar. In 1914, he gained a classics scholarship to Queen's College, Oxford, but instead enlisted in the Royal Sussex Regiment in 1915. He started writing poetry at school and continued to write while he trained with the regiment. Between 1916 and 1918, he took part in some of the worst fighting of the war, on the Somme and at Ypres on the Western Front, and was awarded the Military Cross. His active service ended in the spring of 1918 when he was sent back to Britain to recover from a combination of exhaustion and asthma, made worse by exposure to gas. He was demobilised in 1919 and took up his scholarship at Oxford. He pursued an academic career, and succeeded Rudyard Kipling as 'literary adviser' to the Imperial (later Commonwealth) War Graves Commission. In his later years, he continued to attend battalion reunions and revisited his old battlefields. He died at the age of 77. 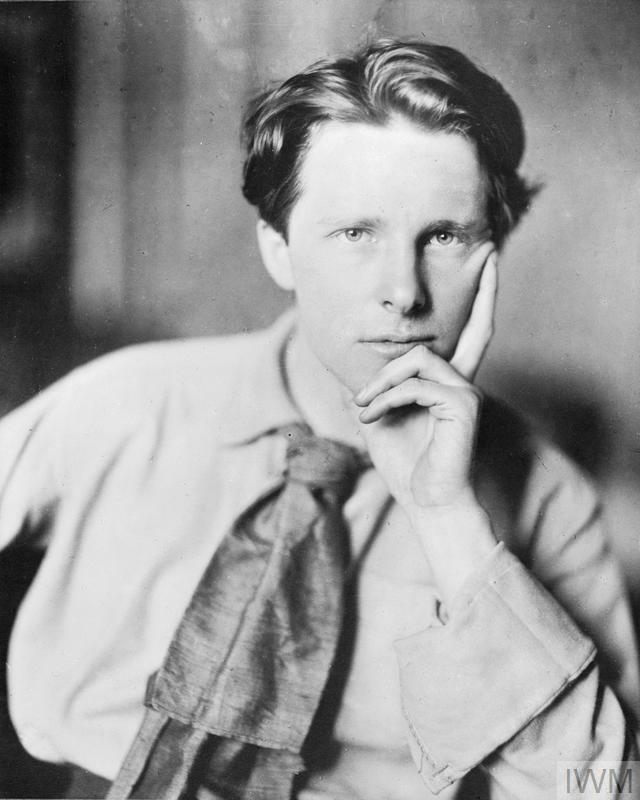 Rupert Brooke was already an established poet and literary figure before the outbreak of the First World War. When war broke out he joined a newly-formed unit, the 2nd Naval Brigade, Royal Naval Division. In the last months of 1914 he wrote the five 'war sonnets' that were to make him famous, including 'Peace' and 'The Soldier'. Brooke was travelling to the Dardanelles with the Hood Battalion, in March 1915, when he was taken ill in Egypt. Although weak, he continued to the Greek island of Skyros. There, he suffered an insect bite which became infected and he died of blood poisoning on 23 April. He was buried in an olive grove on the island. Robert Graves was the son of a British father and a German mother. He won a classical scholarship to St John's College, Oxford, in 1914, but instead obtained a commission in the Royal Welch Fusiliers. He was sent to France in May 1915, where he took part in the Battle of Loos. In July 1916, three weeks into the Battle of the Somme, he was badly wounded and reported dead. His parents were informed and a notice of his death appeared in The Times before they realised he had survived. He returned to the front several months later, but his lungs had been permanently damaged and he was declared unfit for active service. 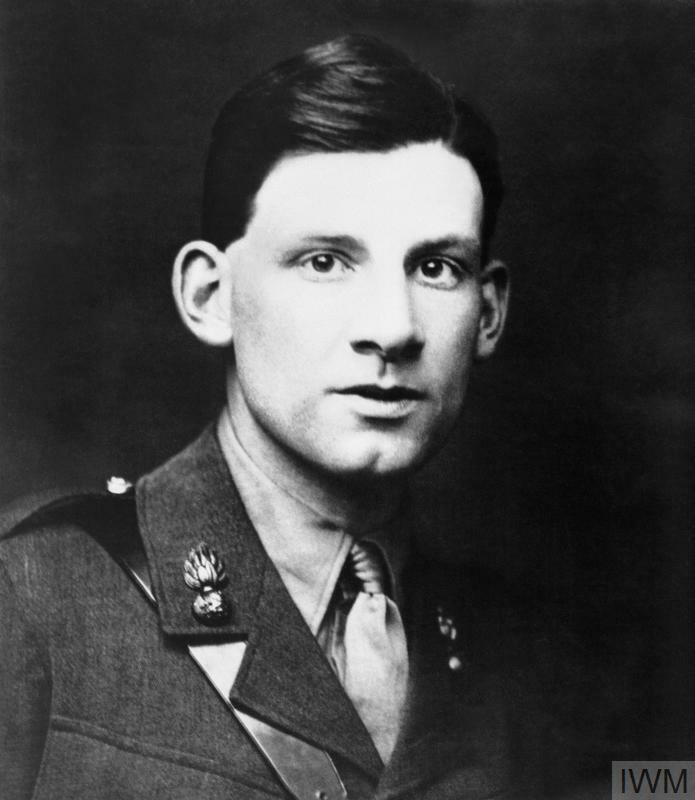 While in France, Graves became a close friend of fellow officer, Siegfried Sassoon, and supported him during his notorious anti-war 'protest'. Sassoon's influence showed in Graves's early poems, published in Over the Brazier (1916) and Fairies and Fusiliers (1917). His acclaimed autobiography, Goodbye to All That, based largely on his wartime experiences, was published in 1929. He moved to Majorca that year and worked as a poet, scholar, dramatist, critic and novelist until his death at the age of 90. Ivor Gurney was born in Gloucester and educated at the King's School and then at the Royal College of Music. He showed great talent as a composer, despite being troubled by mental illness. He was rejected by the army in 1914 because of poor eyesight, but he managed to enlist in 1915 and travelled to France in May 1916 with the 2nd/5th Gloucester Reserve Battalion. He was wounded in April 1917 but returned to duty as a machine-gunner on the Arras front. By then his reputation as a poet and composer was growing with the publication of his anthology Severn & Somme and the public performance of some of his song settings. After being exposed to gas during Third Battle of Ypres (Passchendaele) in September 1917, Gurney was sent back to Britain for treatment. He suffered a nervous breakdown and was discharged from the army in October 1918 with 'deferred shell-shock'. Following a period of immense creativity, his mental illness overwhelmed him and in 1922, he was committed to Barnwood House Asylum in Gloucester, and then the City of London Mental Hospital in Dartford, Kent. He stayed there for 15 years until his death from tuberculosis. David Jones (1895-1974) Image reproduced with permission of the Jones Estate. At the start of the First World War David Jones enlisted in the Royal Welch Fusiliers as a private. He spent most of his first year training before his battalion crossed over to France in December 1915. He survived the opening of the Battle of the Somme but was wounded in the leg on 11 July 1916 in the attack on Mametz Wood. He returned to action in October, but contracted severe trench fever and left France in February 1918. He was unable to return before the war ended and was demobilised in 1919. Later that year he accepted a grant to work at Westminster School of Art. After the war, Jones lived alone, often in poverty and ill-health, but was supported by friends. His major work, In Parenthesis, was based on his wartime experiences and took him over a decade to produce. Jones continued to work as an artist and poet for the rest of his life. Francis Ledwidge was born in Slane, County Meath, Ireland. After leaving school at 12, he worked as a miner and labourer while becoming an active trade unionist, local councillor and Secretary of the Slane Corps of the Irish Volunteers. He started writing poetry as a teenager. Ledwidge, joined the Royal Inniskilling Fusiliers in October 1914. He fought at Gallipoli and then Salonika in late 1915 but was invalided out to Egypt and then returned to the UK. He was sent to the Western Front a year later and was killed by a stray shell on 31 July, at the start of the Third Battle of Ypres (Passchendaele). 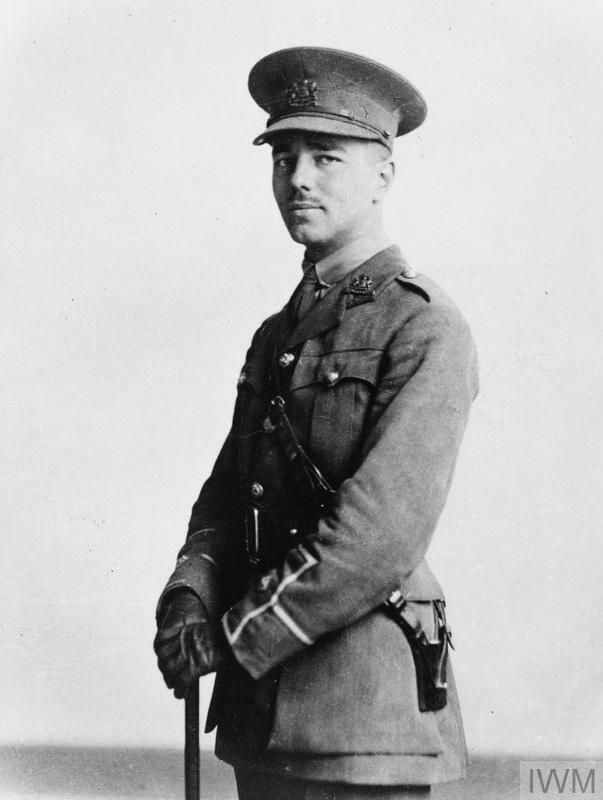 When war was declared, Wilfred Owen was in France working as a private tutor. He returned to England and joined the Artists' Rifles in October 1915. He was subsequently commissioned into the Manchester Regiment and was sent to France in December 1916. In April 1917, after a traumatic period of action, he was diagnosed with what became known as shell-shock, and was sent back to Britain. While recovering in Craiglockhart War Hospital he met Siegfried Sassoon. There, with Sassoon's support, he found his poetic voice and wrote the famous poem, Anthem for Doomed Youth. Owen returned to France in August 1918 and was awarded the Military Cross in October. He was killed in action on 4 November, just a few days before the Armistice. Rosenberg was born in Bristol to a family of Russian Jewish émigrés, who later moved to the East End of London. He showed a talent for drawing and writing as a child but his family could not afford to send him to art school, instead, in 1911 three benefactors financed his entry to the Slade School of Art. After a time visiting his sister in South Africa he returned to Britain in 1915. Unable to make a living, he enlisted in the 12th Battalion, The Suffolk Regiment. He was eventually transferred to the 11th Battalion, The King's Own Royal Lancaster Regiment and travelled to France. He wrote many of his poems on scraps of paper in the trenches. Rosenberg was killed while out on patrol in the early hours of 1 April 1918. His body was buried with nine others on the battlefield. Siegfried Sassoon was born into a wealthy family and went to Clare College, Cambridge, but left without taking a degree. His family’s wealth meant he didn’t have to work but he did write poetry, publishing his first collection of verse privately in 1906. Sassoon enlisted in the Sussex Yeomanry the day before war was declared. In May 1915 he transferred to the infantry and was commissioned into the Royal Welch Fusiliers, where he later met fellow officer and poet, Robert Graves. In May 1915, Sassoon was awarded a Military Cross for his bravery during a trench raid on the Western Front . He was wounded and returned to England in April 1917. Twelve weeks later, he made a public 'act of willful defiance of military authority' by writing to his commanding officer protesting at the continuation of the war. A Medical Board dismissed his protest as a result of 'neurasthenia' ( what we now call shell-shock), and sent him to Craiglockhart War Hospital. Realising that his protest had failed and not wishing to abandon his men, Sassoon rejoined his regiment in November 1917 and returned to France in 1918. Despite being accidentally shot by his own sergeant, Sassoon survived the war and went on to write several volumes based on his wartime experiences. The first British official war artists’ scheme was set up by the government in 1916. 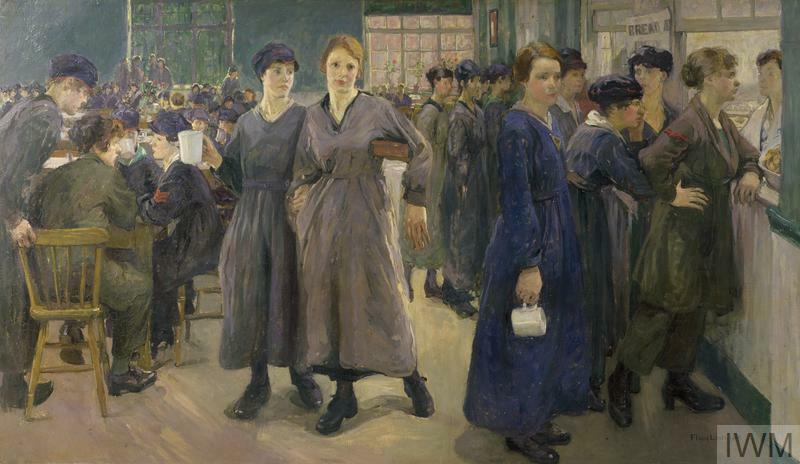 Although several female artists were approached either by the British War Memorials Committee or the Ministry of Information, none of them completed commissions for the official schemes. Born in 1886, Siegfried Sassoon became one of the best-known - and most controversial - poets and novelists to emerge from the First World War as a result of his increasingly anti-war stance. Robert Graves by Lady Ottoline Morrell, 1920. NPG Ax140911. © National Portrait Gallery, London. Robert Graves was so badly wounded during the Battle of the Somme that his family was told he was dead. In his autobiography, Goodbye to All That, he wrote one of the most enduring memoirs of the First World War and the Somme in particular.